Everyone knows a balanced breakfast is the key to a healthy productive day. Maybe that means a piece of fruit and some cereal. Or eggs with sausage. One thing that certainly shouldn't be a part of your morning meal is little pieces of metal, which is why Jimmy Dean is pulling some of its frozen sausage from stores. 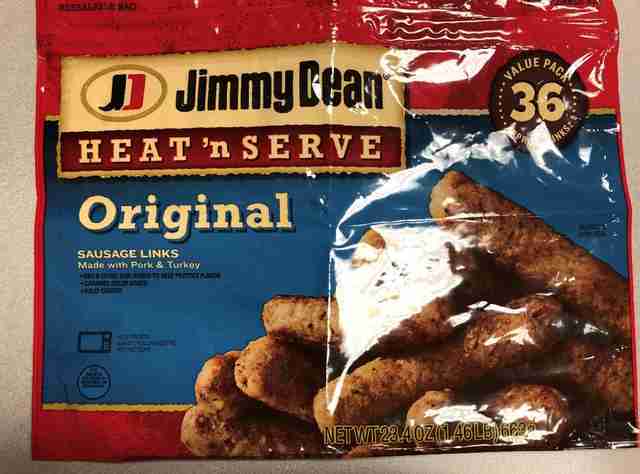 If you've purchased any Jimmy Dean frozen sausage links lately, you may want to check the bag because the breakfast meat maker is recalling more than 29,000 pounds of the stuff over fears that it may contain metal pieces, according to a statement put out by the U.S. Department of Agriculture's Food Safety and Inspection Service (FSIS) on Monday. Specifically, the recall applies to 23.4-oz pouches of Jimmy Dean Heat n' Serve Original Sausage Links Made with Pork & Turkey packaged on August 4, 2018. If you're wondering whether that's what's in your freezer, they have a use by date of January 31, 2019, and should have "EST. 19085" printed on the back of the package. If you have them, FSIS is urging you to either toss them out or return them to the place of purchase for a refund. 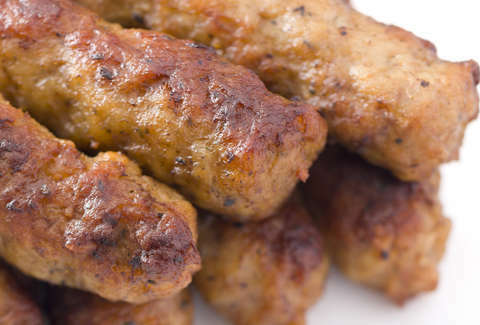 It's unclear how hunks of metal ended up in the sausage, which was produced at a CTI Foods facility in Owingsville, Kentucky, but at least five consumers have complained about it so far according to FSIS. Fortunately, though, no one's reported any "adverse reactions" as a result of eating the potentially metal-tainted links. In any case, there are definitely better ways to get your iron.